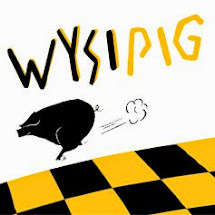 Well the summer holidays are here and it's farm shop open day at Wysipig at Ellis's Hill farm, Sindlesham Road, Arborfield. The sun is shining and it promises to be a great day. Why not join us for breakfast baps, or our famous pulled pork rolls. We will have all our usual pork products on offer and some great things for the barbecue this weekend despite the threat of some storms earlier in the week the weather is set to be fine for the day. If you fancy making a weekend of it and having a break there is plenty of room still left on the camping field. We look forward to seeing all our friends and some new faces too. We are open from 10 to 4 every week from Wednesday to Sunday inclusive. and try to come along and support Arborfield's oldest farm shop. If you need any help or further information call us on (07795) 010820. Saturday, 8 July is the Midsummer farm shop open day here at Wysipig at Ellis's Hill farm, Sindlesham Road, Arborfield. Why not join us for breakfast baps, or our famous pulled pork rolls. Kevin our master butcher will have all his usual pork products on offer and some great things for the barbecue this weekend despite the threat of some storms earlier in the week the weather is set to be fine for the day. If you fancy making a weekend of it there is plenty of room still left on the camping field.